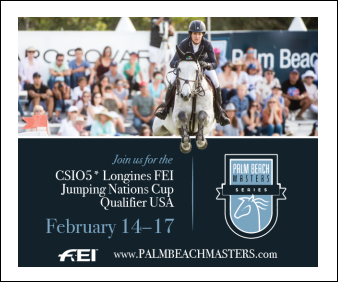 It was 1984 in Los Angeles when then-10-year-old Gina Miles found herself pressed against the ropes, jaw-dropped as she watched the Olympic eventing teams fly by on the cross-country course. She had never seen anything like it in her life — the speed of their gallop, the scope of their jump — but, in those minutes of sheer awe, she knew she had found her calling. 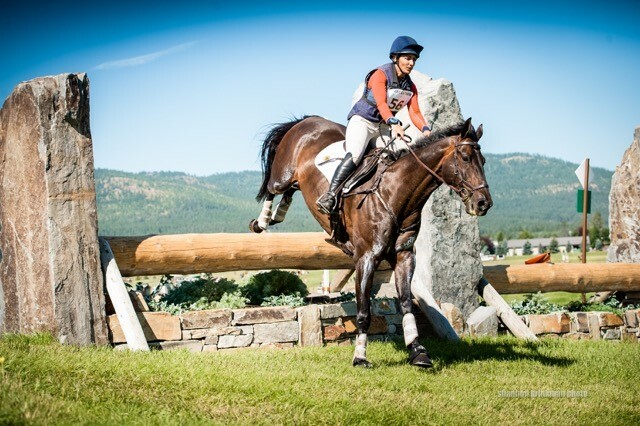 She knew that someday, somehow, she too would have her ride on an Olympic cross-country course. Remarkably and against all odds, she was right. In 2008, her dreams came true when — 24 years later — she returned to an Olympic course — this time as a rider. When the young Gina set her sights on her Olympic debut, she had only been riding for three years. A self-described “typical horse crazy girl who begged and begged for riding lessons,” Gina’s mom found a local riding school for Gina to ride at in Davis, California, where she could learn the ropes. The moment her feet touched the stirrups, she fell in love. But pursuing her passion for horses and her Olympic-sized dreams wouldn’t be an easy feat. She lived with a single mom who was raising two kids and who certainly wasn’t hemorrhaging money. While her parents encouraged her to chase her dreams, it would be up to her to make it happen. So, the young Gina saddled up (figuratively), kicked on and prepared for the ride of her life. Her dad bought her first pony at an auction for $175 and Gina spent many miles on her bike riding to the stables after school each day to feed the pony and clean the stall. 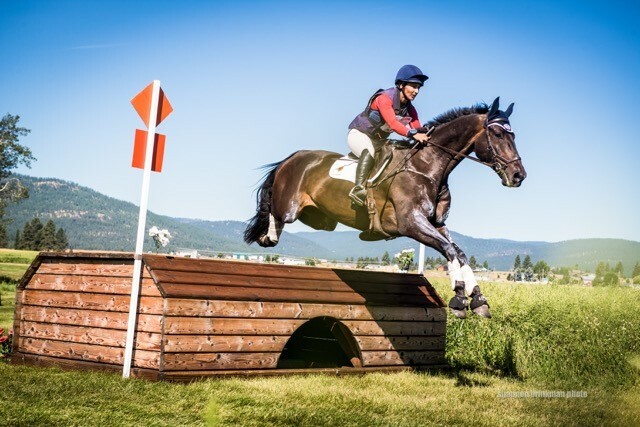 She lacked a trainer and even tack, but the vision of soaring around cross-country like 1984 Olympians Karen Stives and Ben Arthur fueled her feverish dedication. 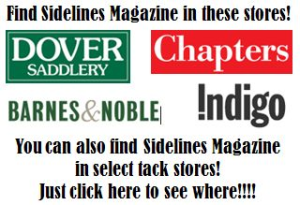 She turned to equestrian magazines for guidance and taught herself to ride and to jump page by page. 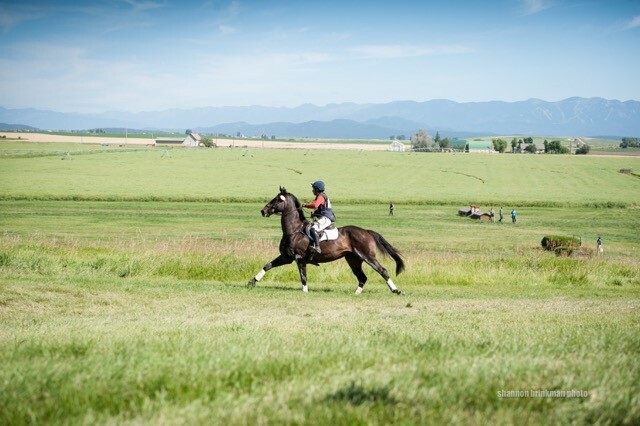 Eventually, Pony Club also came into her life, and became an instrumental tool in building her foundation as an eventer. Pony Club-sanctioned activities and rallies gave Gina her first taste of the adrenaline rush of competition and served as a catalyst for her transition from a backyard rider to a force to be reckoned with. Gina and Greenfort Othello at Rebecca Farm in the FEI CCI 2*. Syndicated shares are available on Greenfot Othello. 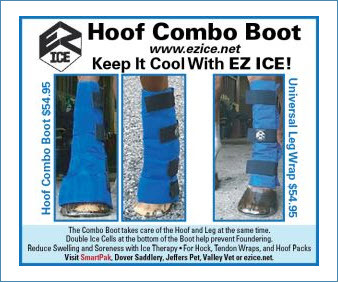 Many equestrian legends also played a role in that crucial transition. 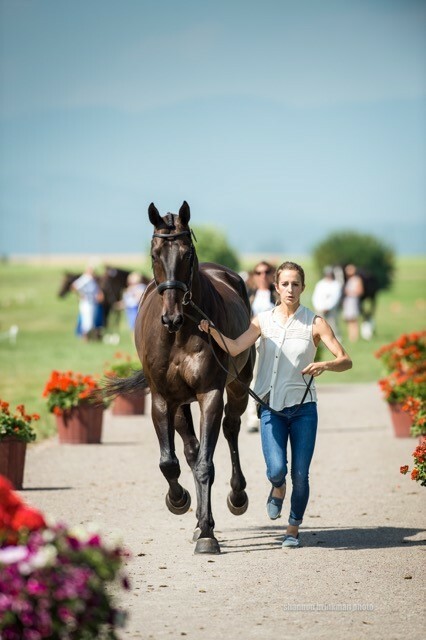 Learning from the likes of George Morris, Hubertus Schmidt, David and Karen O’Connor and Laura Kraut, Gina developed a deep appreciation and understanding of each of the three eventing phases. 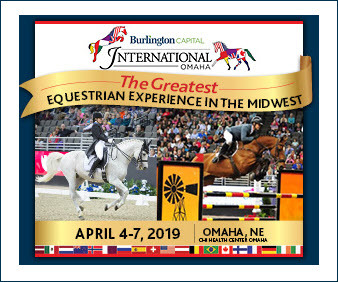 “Cross-country is what makes eventing unique, but, the way the sport has evolved over the last 20 years, dressage has also become so important and show jumping has become so technical,” she said. 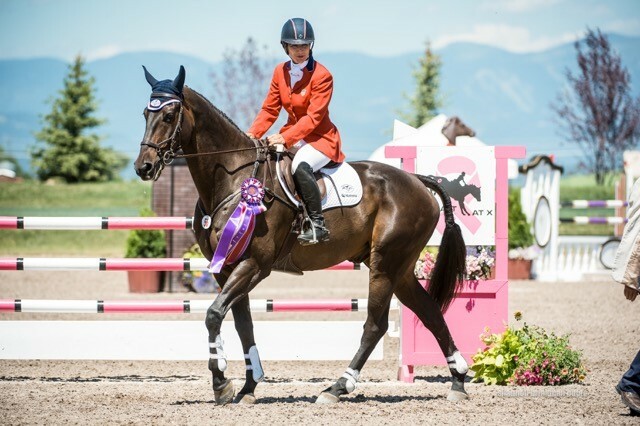 On her rise to Olympic fame, Gina developed another key relationship with McKinlaigh, a 17.3-hand liver-chestnut Irish Sport Horse owned by Thom Schulz and Laura Coats. 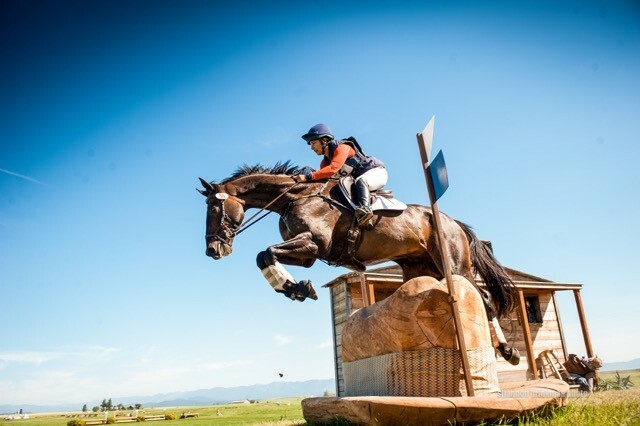 Aboard McKinlaigh, who was inducted into the 2015 Eventing Hall of Fame, Gina enjoyed a series of career highlights — from earning the 2003 World Cup Final bronze medal to contributing to team gold during the 2007 Pan American Games. All signs pointed to the 2004 Olympics being the culmination of her hard work and dreams. But life seldom happens how you plan it and wind surgery in 2004 just after the Rolex left the duo out of the running for the Athens Olympics. With that in mind, Gina refocused, began preparing for the next Olympics and gained a new perspective. “Going forward, I wasn’t any less optimistic or focused on the goal. You just have more perspective and come at it with a little more maturity,” she said. Four years later, years of dreaming and training finally gave way to the manifestation of Gina’s long-held dream. She earned her spot on the U.S. Olympic team aboard McKinlaigh, and she showed up at the Beijing Games ready to give her all. This mentality paid off and before she knew it, Gina found herself poised for show jumping among the top 10 riders — an Olympic medal in her sights. Adding to the sheer joy of Olympic fame was another lifelong dream come true for the self-described Disney fanatic as her silver medal also became her ticket into Club 33, an exclusive Disneyland club that features a members-only dining area and jazz lounge above Disneyland’s New Orleans Square, reserved for celebrity fans. Other celebrities to have visited the club include John F. Kennedy, the Dalai Lama, Julie Andrews, John Stamos and many other well-known celebrities. 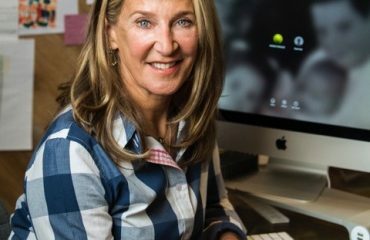 After the Olympics, Gina found herself focused on giving back to the equestrian community by training others to reach their equestrian goals through Gold Medal Equestrian, Gina’s training facility in Danville, California, which offers training for all ages in eventing, show jumping and dressage. “I recognize that a lot of people sacrificed and gave me their time and resources so I could participate, so it makes sense to pay that forward,” Gina said. While Gina continues to enjoy training others, she’s also finding time to return to her status as an international competitor. 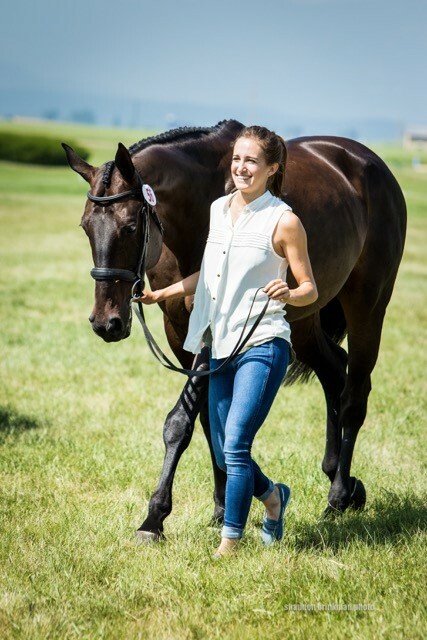 With her two kids (Austin, 18, and Taylor, 11) now older and Taylor an up-and-coming eventer herself, Gina says she feels ready for another Olympic performance and, with any luck, another medal. 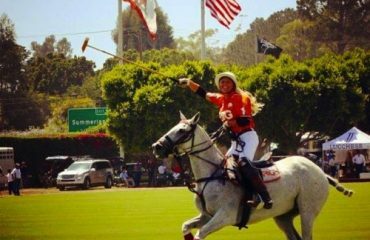 While Gina says she could be ready as early as 2020, returning to the Olympics in 2028, when the Olympics return to Los Angeles, would bring her equestrian career full-circle. If the stars align, she hopes to this time be on the other side of the ropes as young Californian onlookers gape in awe, like she once did. Who knows — she just might inspire the next Olympic fairy tale. 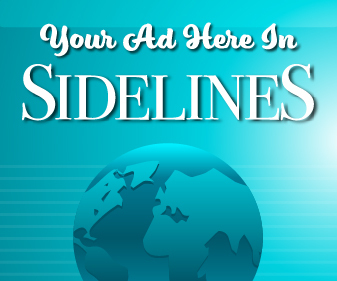 For more information on Gina and Gold Medal Equestrian, visit ginamilesequestrian.com/training/.